when soap and water not available. Wipes made with Ultra Soft Tencel. Convenient clean-up for inks, grease. 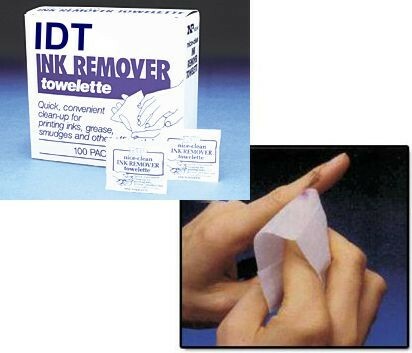 Removes printing inks, grease, dirt smudges, and other common stains from hands. Convenient, single-use package.